Project for “Accelerating the Scale- up of Voluntary Medical Male Circumcision (VMMC) for HIV prevention for Maximum Public Health Impact in the United Republic of Tanzania, under the President’s Emergency Plan for AIDS Relief (PEPFAR)”. This project is funded by PEPFAR through the Centers for Disease Control and Prevention (CDC). Project who will run a new research study to evaluate safety and acceptability of the ShangRing device for nonsurgical circumcision in routine clinical settings, as a part of a comprehensive HIV prevention program for males in VMMC programs. Primary Endpoint: the proportion of males experiencing mild, moderate and severe adverse events (AEs) associated with ShangRing circumcision procedures, including both intra- and post-operative events, and all device-related malfunctions (e.g., early spontaneous detachment). Training needed for proficiency using the ShangRing device, including number of procedures to become fully proficient at applying and removing the ShangRing device. Client and provider acceptability, client satisfaction, and duration of procedure. The percentage of clients clinically healed 49-52 days post-placement of the ShangRing device, and the time at which point all clients are clinically healed. The ShangRing Device Evaluation Coordinator will report to the Director of Monitoring, Evaluation and Research. The contract for the position will be for duration of 12 months and will ideally commence from the beginning of October 2018. The ShangRing Device Evaluation Coordinator will be responsible for day to day running and management of the research project including hiring and managing of study staff, ensuring availability of the required equipment and supplies for the study, ensure all trainings (TOTs and training of service providers) are conducted in a timely and ethical manner, ensure all study sites are ready and the study is conducted in an ethical manner. S/He will be responsible for development of data bases, data entry screens, oversee the data collection exercise and analysis of both qualitative and quantitative data and produce final report for the study. Develop study documents such as standard operating procedures (SOPs) and consent forms. Develop data collection tools such as questionnaires and surveys. Plan and structure interviews and focus group sessions. Contribute to data collection using questionnaires, surveys, interviews and focus group sessions. Communicate and build good relationships with local leaders in the study areas including Regional Medical Officers, Regional AIDS Control Coordinators, District Medical Officers, District AIDS Control Coordinators, District Health Management Information System focal persons, Health Facility In-charges and health service providers in each of the study sites. Provide information to, and take consent from, potential study participants. Assist in recruitment of study team members. Manage junior study staff, and train study staff on procedures and tools required to carry out the study. Maintain study documentation, including the study master file. Liaise and communicate with the study Senior Investigators and Sponsor. Communicate with and prepare written reports for the study. Prepare applications and reports for ethics committees, obtain ethics approval and liaise/communicate with ethics committees as required. Ensure the study is carried out ethically and according to applicable laws and regulations. Contribute to institutional meetings and seminars. An undergraduate degree from a recognized university in the field of health sciences (including public health), social sciences, epidemiology or demography. At least two years of research experience in the field of health sciences, social sciences, epidemiology and/or demography. Experience of developing study documents such as SOPs, consent forms and data collection tools. Experience of performing data collection and analyses for both quantitative and qualitative research through interviews, surveys and/or focus group discussions. Experience of managing a team and conducting staff training. Excellent written and oral communication skills in English and Swahili. Computer literacy and ability to use Word, Excel and PowerPoint. Ability to work independently and to take initiative. Excellent interpersonal skills and a highly professional attitude. A postgraduate qualification in the field of health sciences, social sciences, epidemiology or demography from a recognized university. At least two years of proven experience and/or knowledge of socioeconomic research. Experience with using data management/social science/analysis packages such as (e.g. STATA and/or NVIVO). Travel 70% of the time away from Dar es Salam and collegially with other MOHSW, IntraHealth team members as well as USG and project partners. 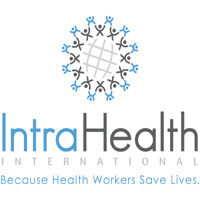 Innovation: Develops new, better or significantly different ideas, methods, solutions or initiatives within your role that result in improvement of IntraHealth's performance and meeting objectives, results and global commitments. Accountability: Holds self and others accountable for all work activities, research and personal actions and decisions; follows through on commitments and focuses on those activities that have the greatest impact on meeting measurable high quality results for IntraHealth's success. Exercises ethical practices, respectful words and behaviors, and equitable treatment of others in all activities. Planning and Organizing: Develops clear goals that are consistent with agreed upon strategies; identifies priority activities and assignments; adjusts priorities as required; allocates appropriate time and resources for completing work; foresees risks and allows for contingencies when planning; and monitors and adjusts plans and actions as necessary. Interpersonal Relationships: Knowledge of and the ability to effectively interact within and across Divisions, Departments/Country Offices in a constructive and collaborative manner. Service Excellence : Knowledge of and ability to put into action customer service concepts, processes and techniques to access internal and/or external client needs and expectations and meet or exceed those needs and expectations through providing excellent service directly or indirectly. Application letter with detailed CV, indicating daytime telephone numbers, email address, names and contact information of two referees should be submitted to the link at the end of this advert and locating the job titled ShangRing Device Evaluation Coordinator.